Mileage building also known as MileBuilders courses are designed to facilitate yachtsmen and women building sea miles and experience on longer and more challenging passages than is often possible on RYA courses. Whether you’re building your mileage and experience, working towards Yachtmaster and needing qualifying passages or just want to cruise in new and exciting territory, we’re sure to have something to suit. Our location in Falmouth means that we are excellently placed to offer a wealth of destinations for your mileage and all trips are carefully thought through and devised to allow flexible programs to best suit your requirements. We sail to Ireland, France, the Channel Islands and to and from the Solent often taking in Weymouth, Poole, Dartmouth, Salcombe, Newton Ferrers, Fowey and the Helford. Why chose us - Mileage Building with Freewinds -> Simple. We sail on Nautor Swan Yachts that are Ocean going vessels and the best build quality production yachts have to offer. They are the 'Aston Martin' s of the sailing world. 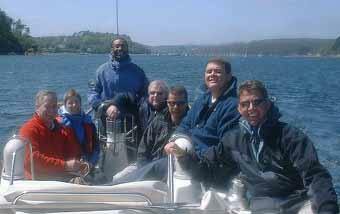 We offer sailing yachts fit for mileage building NOT floating caravans. Mileage builders and confidence cruises are not only about getting the miles under the belt but allow you to take charge of a yacht acting as skipper safe in the knowledge that your decisions have been overseen by a professional skipper. You will be involved in skippering different passages during the MileBuild sailing along with the planning and navigation. Night sailing is included and following the discipline of a watch system, the passages are designed to allow you to build up those important miles and enhance your skills to take you from Day Skipper towards Coastal Skipper, boost your confidence or just extend your cruising experience. Our Mileage building courses cover over 300 miles or 800 miles. 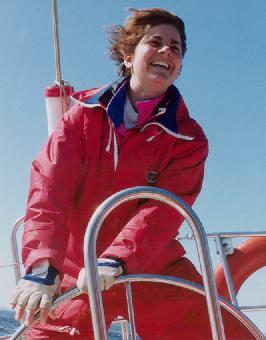 They are immensely rewarding and allow you to experience different sailing conditions on a prestigious yacht. The final destinations for our mile building weeks are of course weather dependent. If unsuitable then we head to alternative destinations. We always keep you fully informed and give you details a week before departure.